The traceability route, which marks Parma Ham begins with an indelible tattoo put by the breeder on both legs of the pig, carries the identification code of the breeding and the month of birth of the animal. On the same legs it is applied a fire brand by the breeder which carries the initials PP and the code that pinpoints the factory of butchery. Moreover, month and year of the beginning of maturing are placed on a special metal seal, which is put at the moment of salting of fresh legs. When all controls are carried out, the hams, which respond to the expected requirements of the guidelines of production, receive the conformity marking. This marking is placed by fire brand and it is made up by the known stylized ducal crown with the writing “Parma”. Under there are the initials of identification of the company where the producing is made up. The marking constitutes PDO Parma Hama guarantee for the consumer in terms of origin of the meats and of the producing processes, made up according to strict guidelines. The Consortium of Parma Ham watches over the correct application of productive guidelines, which defines the general quality that the product must necessarily have, including the boundary of geographic area of origin, processing method, indication of raw materials and its fundamental physical and organoleptic characteristics. 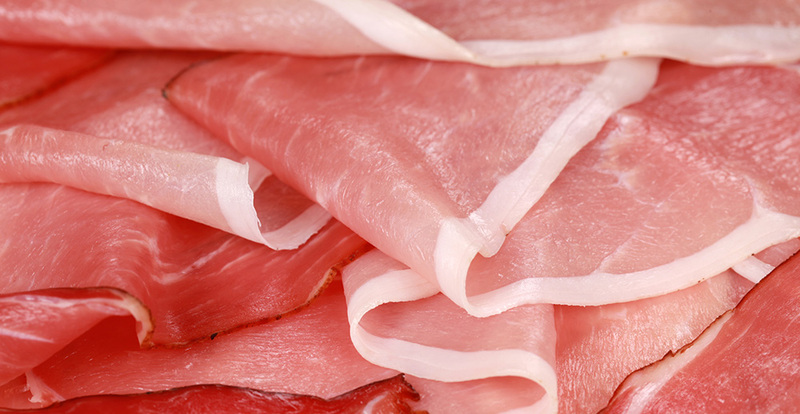 The Consortium of Parma Ham was set up in 1963, on the initiative of 23 producers, and nowadays they are 189. The fundamental objective is to guarantee the respect of the guidelines of the PDO (Protected Designation of Origin) in every its aspect. Other important duties are to protect the marking, to help the associated companies and to promote the product in Italy and all over the world. On the occasion of the Festival of Parma Ham 2016 it was possible to visit some of many delicatessens where real PDO Parma Ham is produced.